The heartwood of Appalachian cherry varies from rich red to reddish brown and will darken on exposure to light. In contrast the sapwood is creamy white. Cherry can be supplied steamed, to darken sapwood or left unsteamed. The wood has a fine uniform straight grain, smooth texture, and may naturally contain brown pith flecks and small gum pockets. Found throughout Eastern USA, but main commercial areas are Pennsylvania, Virginia, West Virginia and New York State. 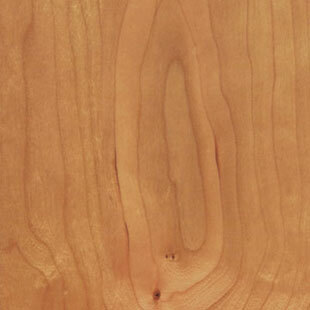 Although cherry accounts for less than 2% of the growing hardwood resource, it is widely available in a full range of specifications and grades as both lumber and veneer.